This course will be presented real and virtual levels in the urban context on the Surface table using interactive Geovisualiserungen. Different people react in diffrent ways. On construction sounds or children or traffic. How can the perception of noise be messured? Is there a value that oscillates between anoying and nice? And there were more questions. How could this be meassured? With this [survey](http://spreadsheets.google.com/viewanalytics?formkey=dDUyOHdrQl9LZVRVQ05Na2FhWm9MSFE6MQ „survey“) (only in german) we tried to get our hands on some data. At this moment it's the perception of 39 people. But there is no live-stream. Finally ( and because we were eager to make something beautiful ) we choose a metaphor to explain the data. 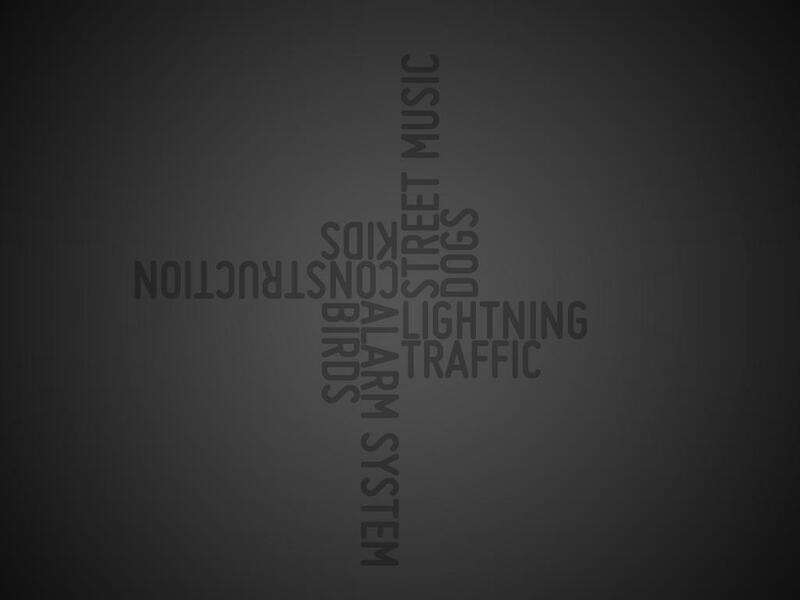 The always flowing circle as an image for the never stopping life in the city. The particle, as the person wo reacts on sound, has to make his way throug space. The typographic obstacles are noises that interfear with the mood of the masses. We splitted this in three different spaces. Public space ( the inner ring) , private space ( in the middle ) and workspace ( the outter ring ) . We also made a difference between the perception on day and night. These images are rendered while the application is running. You see the typographic obstacles on the start screen. You see the different spaces private, public and work and one lonely particle enters the scene. For every space we have three paths with a thickness in which the particle can move while traveling on that path. 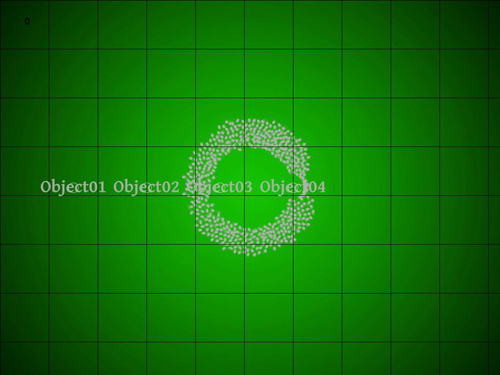 Looking at the right upper corner you see the stats of our particle. Because of the collusion between particle and obstacle the stats of the particle have changed. More particles + more obstacles = more motion. Some obstacles (e.g. constuction) even have the ability to move the paths. People do not like construction. For all of you who can´t afford a multitouch device or don´t have the opportunity the use one, we made this small video. Please enjoy! And for all of you who can afford a multitouch device you are welcome as well. The next step would be implementing sound. There are some ideas around like making a sound layover controlled by the active objects there size and there position. But nothing really final.